Monsignor Ignatius McDermott, MSW — known to a multitude of friends as “Father Mac” — grew up on Chicago’s South Side. He was ordained in the priesthood in 1936. Initially, assigned to the Maryville Academy, then a home for dependent and neglected children, he found that many of the children came from broken homes where alcohol use was the problem. In his next assignment as assistant pastor of an affluent parish, he also found neglected children of alcoholic parents. Years later at Catholic Charities, Father Mac’s job was to find homes for neglected and dependent children. As director of Holy Cross Mission, his office overlooked the old Chicago police jail and drunk tank. Befriending the men inside, he wondered why no better solution had been found to help them battle alcoholism — and reunite their families. Working toward a solution, Father Mac founded the Addiction Counseling Education Services (ACES) of Chicago Catholic Charities. ACES provided counseling to alcoholics and other substance abusers with no other means for help. In the Chicago school system, he developed an alcohol education curriculum and fostered Alternatives to Expulsion to help teachers salvage addicted teenagers who were willing to give up drinking and drugs and resume their studies. This program worked so well that the State of Illinois incorporated it into its educational practices. Father Mac next founded the Central States Institute of Addictions in 1963 to “educate the educators.” This not-for-profit organization provides education and training to teachers, counselors, and social workers on addiction and dependency. In his duties as a priest, Father Mac sought to address so-called “social drinking” and focus attention on the risks of such socializing — especially combining social drinking at events like weddings with the drive home afterwards. The Alcohol Safety Education Program (ASEP) began in 1971, when Father Mac developed a series of lectures for driving-under-the-influence (DUI) offenders. It emphasized the effects of alcohol on the body and brain and the safety issues of excessive use before driving. Funding this initiative himself, Father won encouragement from jurists in the Cook County Circuit Court. A 1974 grant from the Illinois Department of Transportation’s division of traffic safety enabled ASEP to expand programs to the six Cook County Circuit Court districts. In an unprecedented 1976 decision, the Circuit Court authorized a $100 charge to be paid by the DUI offender, resulting in the ASEP program becoming self-supported. The program’s process of assessing levels of impairment of DUI offenders helped to define the standards for DUI programs established statewide in 1986. 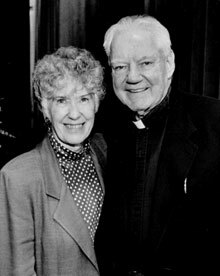 By this time, Father Mac had also co-founded Intervention Instruction, Inc., with Sister Patricia Kilbane, establishing DUI services for Cook County first-offenders. 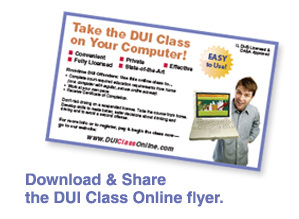 Intervention also maintains a public service DUI prevention website at www.whatsdrivingyou.org, a first-of-its-kind site that has been live since 1998. Father Mac’s lifelong concern for the homeless inebriate and for families split by alcoholism has been met with matching public attitudes. In 1975, the Illinois General Assembly agreed to decriminalize public inebriation. That breakthrough led to his creating the Chicago Clergy Association for the Homeless Person, and the founding of Haymarket House (now Haymarket Center) and Cee’s Manor. Initially a detox center for male alcoholics, Haymarket soon added facilities for women, especially drug-using women, many of whom were pregnant. With legislation pending to take the expected cocaine babies into state custody, Father Mac scored a triple victory: First, Haymarket won state funding for the Maternal Addiction Center, which treated women through delivery. Second, a post-partum program was added with Haymarket/Maryville. Third, the Sangamon House and Athey Hall recovery homes opened to provide shelter and more time for recovering moms. Moms now had a chance to improve parenting skills for both newborns and older children, as well as access to supplementary education, job training, and apprenticeships to prepare for a return to independent living. The programs that Father Mac initiated during his priesthood have been recognized as trail-blazing solutions for the many ways alcohol and other drug addictions damage lives. Through his indefatigable efforts, Father Mac has raised more than 25 million dollars for his beloved communities in need. Other nations struggle with these same problems, and Father Mac has led U.S. activists to the International Council on Alcohol and Addictions (ICAA) since the 1960s. 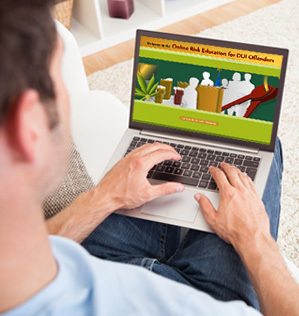 This international forum boasts a worldwide membership seeking “prevention and relief of harm resulting from the use of alcohol and other drugs” for the last 90 years. For more than 40 years, the ICAA has sponsored institutes on “the prevention and treatment of dependencies.” Thanks to scholarly papers presented to organizations like the World Health Organization and the United Nations General Assembly Special Session on the World Drug Problem, Father Mac’s legacy continues to grow worldwide through the ongoing contributions of his dedicated followers.